Image Approvals streamlines the process of managing talent photo kill rights for film and TV productions. 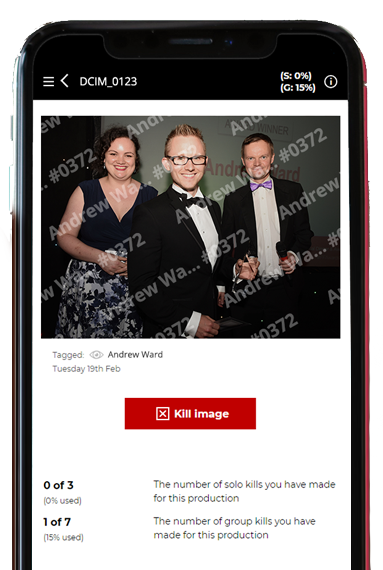 Our user-friendly web app, for desktop and mobile, makes it easy to track and cap talent kill rates, manage the approvals process, and export PDF contact sheets of approved images. No need to mail drives. Give your photographers direct access to upload photos from the first day of production, ensuring your marketing process moves as quickly as new-media demands it. No need to download and learn complex software; our platform is clean, desktop and mobile optimised, and easy to use. Each cast member is allocated their own unique account allowing them to browse photographs by production day, and keep track of which images they’ve viewed, are yet to view, and have killed. New images uploaded to the platform appear immediately, avoiding the need to repeatedly send new share links or contact sheets. Actors can browse images by thumbnail, or by one image at a time. Our one-click-kill process speeds up the image review process, reducing the number of clicks (or touches) required to go through the process. Should a photograph be killed accidentally, then there is the option to navigate backwards and un-kill the image. Once an actor has finished reviewing the day, they can mark it as done, allowing you to keep track of the process, ensuring the process is completed on time. We keep track of image kill counts so that you don’t have too. Actors see a simple breakdown showing them how many images they appear in, how many images they are allowed to kill, and what percentage of that kill allowance they’ve used. Agents, publicists, or producers overseeing the Image Approvals process have a more advanced kill allowance view. 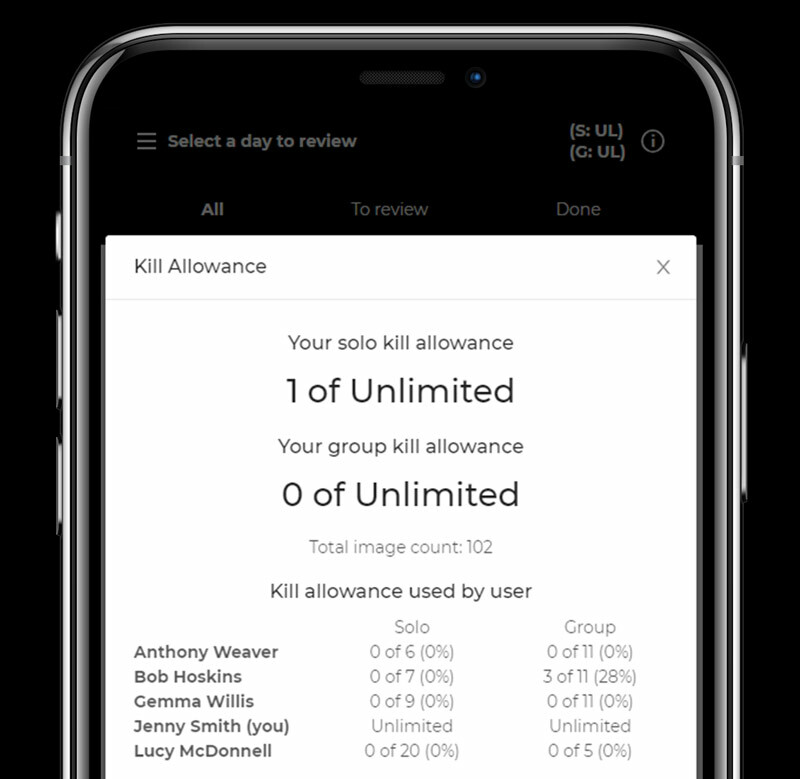 This advanced view allows them to see not only their own kill allowance but the kill allowance of each cast member assigned to the production, giving them a high-level overview of their progress. 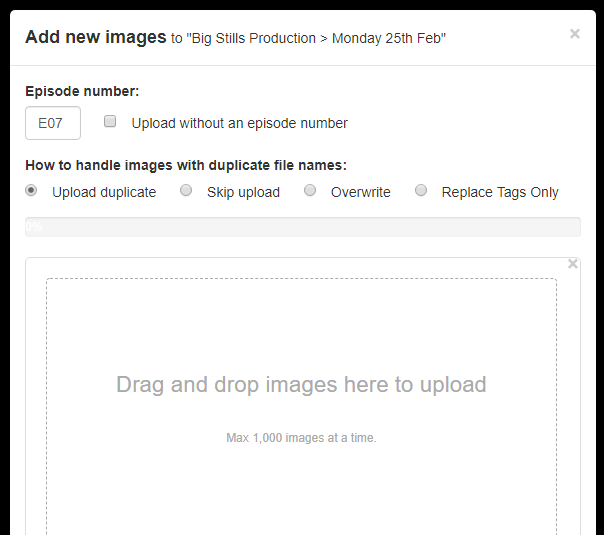 Production-side user accounts have access to a downloads section, allowing the download of printable summary-contact-sheets of all images, all killed images, or all unkilled images. Both PDF and spreadsheet formats are available. These contact sheets show who has killed each image, which of the talent has marked each day as done, or still needs to do so. 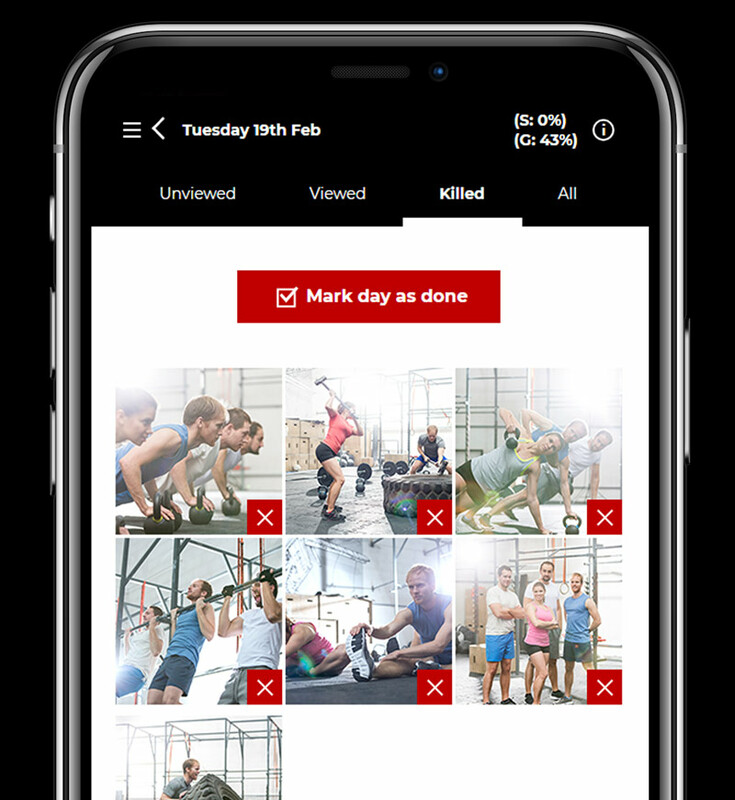 This extra information acts as a clear audit trail and prevents contact sheets being distributed and images shared before actors have completed their kill process. Social media and PR often demands the timely release of assets, especially for episodic content. Our platform helps to prevent the Image Approvals process from blocking your marketing and publicity activities. Photographer accounts can add shoot days and upload images quickly and easily themselves as part of their normal end-of-day workflow, meaning assets are online and available for talent to view and kill from the first day of production. Once all actors have marked the day’s they are tagged in as done, you know the remaining un-killed images are approved and safe for use. © Copyright 2019 Image Approvals Ltd, Company number: 11685628. Registered Address: 13 Portland Road, Edgbaston, Birmingham, West Midlands, United Kingdom, B16 9HN.